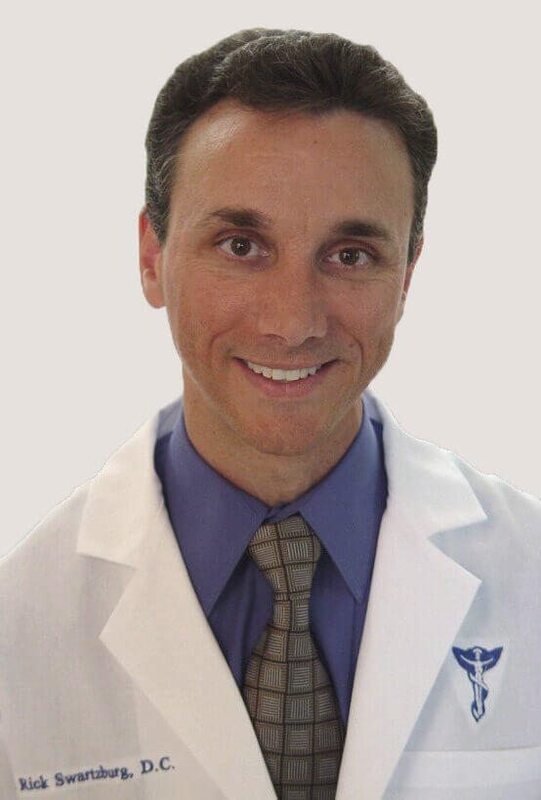 Created by Dr. Rick Swartzburg, D.C., to help his wife and his patients who suffer from Fibromyalgia, the Fibro-Pedic contains a unique combination of hypo-allergenic foam layers designed specifically to take pressure off of the many individual muscle pressure points that Fibromyalgia sufferers experience. The Fibro-Pedic offers immediate comfort, with the best support system available. We accomplished this by adding a mix of memory foam and latex foam layers which gradually increase in density. The memory foam and latex foam layers are arranged over a firm HR polyurethane foam layer. 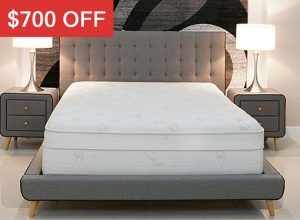 This allows the mattress to be soft enough to contour to the unique shape of your body, but firm enough to provide proper support and never bottom out. Unlike other memory foam mattresses, from the moment you lay on the Fibro-Pedic you will feel the instant support of your total body, without an increase in pressure to your tender points. The special memory foam we use in this mattress never gets hard when the room temperature drops. Fibro-Pedic uses our specially designed hand-stitched hypoallergenic, stretchable terry cover that is easily removable for washing. It has a special breathable design that will ventilate better than most covers to keep your body temperature constant, so you will not have to worry about this mattress getting too hot. We are so convinced that you will not find a more comfortable mattress that we are offering a 120-day trial and will pay for shipping of another mattress if you are unsatisfied for any reason at all. As you can tell we are extremely proud of this mattress and want you to experience first-hand why the Fibro-Pedic is helping Fibromyalgia sufferers remember what it means to sleep soundly and wake up without pain. If your body type generates extra heat or you just want to sleep cooler, the Tri-Pedic now offers the option to add on our patented airflow transfer system. Our patented Airflow Transfer System allows the cooler air to flow in two directions even when you are sleeping in the same position throughout the night. 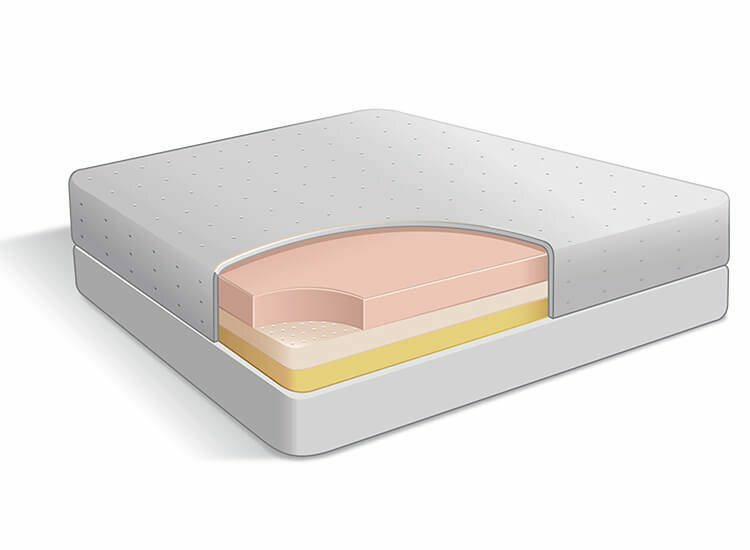 Cooler air will enter through the many small holes that go down through the surface of the memory foam and out through the channels on the firmer base foam. It also works in reverse, as air can enter through the sides and up through the surface holes. This unique system also allows a heat transfer as the warmer air radiates off the body and ventilates down through the holes and out the sides of the mattress. That is why we always keep a breathable fabric where the channels exit on the sides of the mattress. In addition, a greater volume of airflow transfer will occur with even the slightest movements that occur throughout the sleeping process. While some mattress companies offer airflow through the middle layer of the mattress, they fall short of allowing the mattress user to receive any airflow benefit. We are so convinced that you will not find a more comfortable mattress that we are offering a 120-Day Sleep Trial that includes the option of having us pay for the shipping of another mattress if you are unsatisfied for any reason at all. 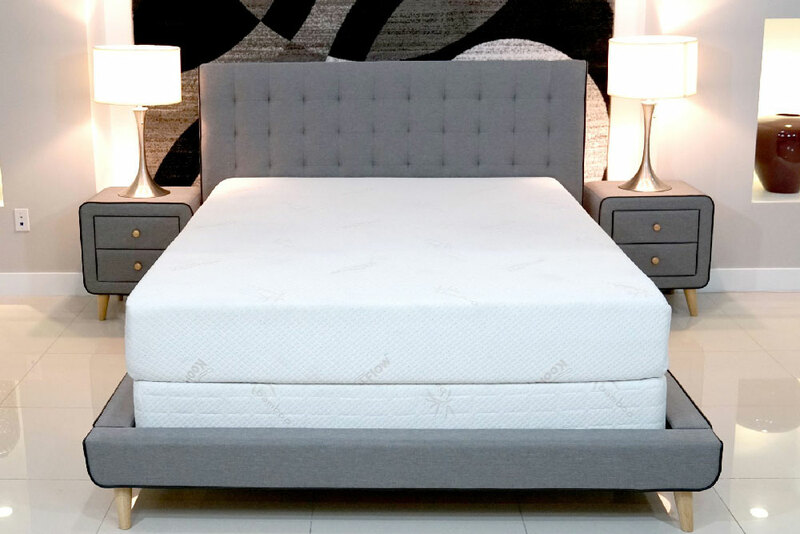 We proudly make every one of our memory foam mattresses right her in our local Southern California facility and we only the highest quality USA made foam, fabric, and cover materials. Don't accept cheap, overseas substitutes! We also back this mattress with a 30-year limited warranty. My thanks to you, Dr. Swartzburg, for the amazing Fibro-Pedic mattress. I have had my mattress for three months. It is an answer to a prayer. I am 87 years old and had bought three of the most expensive mattresses on the market and could not get a comfortable night’s sleep. From day one this mattress has been a joy to retire to at night, knowing I would be able to rest and sleep comfortably. Also, the Therapain spray gives instant relief. I have had fibromyalgia for 20 years and it gets worse as time goes on. So, you can see that I was desperate for some relief. Thanks again. “Watching my wife, who suffers from Fibromyalgia, wake up with pain every day was enough to convince me that a specialized mattress was needed to take the pressure off the many tender points that this debilitating condition creates. The Fibro-Pedic offers complete support of the spine, but feels instantly comfortable. It does this by properly contouring the body to eliminate pressure spots on individual areas of the body that press harder against the mattress. It was assumed in the past that a hard mattress is needed to support the spine properly. This may have been true with the old spring mattresses that would give a trampoline/hammock effect and cave in when it became too soft, but this is not the case with a proper density memory foam or latex foam mattress. The Fibro-Pedic was created after extensive testing and research on my part with the help of Relief-Mart and Selectabed.com, as well as several sleep centers. The results have been amazing. My wife slept better on this mattress from the first night and woke up with feeling more refreshed, energetic and pain-free! My Fibromyalgia patients who used this mattress all note immediate improvement in their sleeping patterns and feel that this mattress has made a significant difference in each of their own conditions. For those who do not need the extra back support, but still want great pressure relief, the Tri-Pedic Platinum and Memory Zone Deluxe mattresses are great cost saving alternatives. Visco-elastic memory foam was originally developed for NASA, for astronauts undergoing the high pressure of G-force testing. It is a dense foam that molds to the shape of your body. Researchers realized that this high density elastic memory foam was ideal for relieving pressure on burn patients, and this is how the trend of Memory or Visco-Elastic foam started. Tempur-Pedic® successfully introduced this visco-elastic memory foam to the consumer marketplace many years ago. Unfortunately for consumers, they have to import this memory foam from Sweden since there weren't any domestic manufacturers making this unique foam. The high cost of importing bulky memory foam on container ships is ultimately passed onto the consumer. Once manufacturers realized that there was a demand for this visco-elastic memory foam, they started to make it here throughout North America. Fortunately, this unique memory foam is not patented. Therefore, any foam manufacturer is able to duplicate the exact same foam product, although many do not choose to use the same quality. In fact, most of the memory foam you see available today comes from China, where they do not require the same stringent requirements that U.S. manufacturers face. 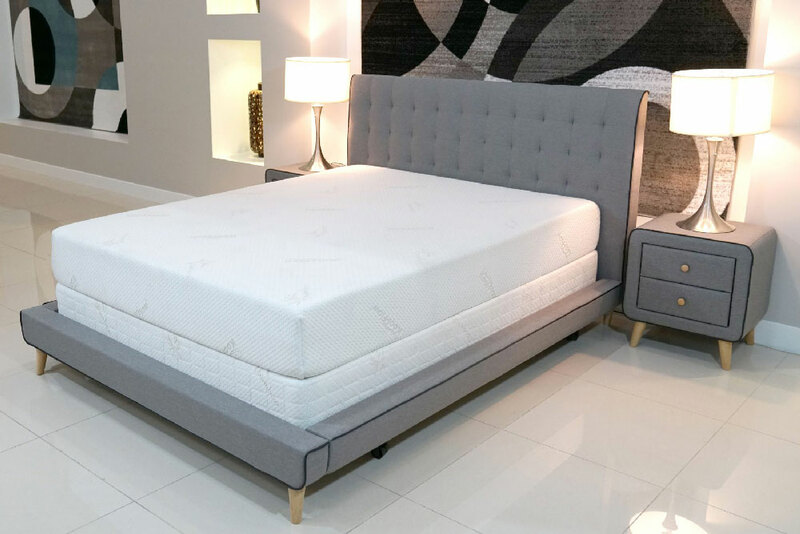 This allows there to be a wider discrepancy between the high quality U.S. produced memory foam found from a certified U.S. manufacturer like Selectabed and the much lower quality foams produced in China for the vast majority of the market place. Tempur-Pedic® and national mattress companies also have to spend large amounts of money advertising via television and print media. As a manufacturer who depends upon our reputation that has grown tremendously over the last 10 years, we are able to avoid the heavy advertising costs and pass the savings down directly to our customers! The bottom line is that knowledgeable consumers have the upper hand when it comes to sorting through all the hype and are able to make a sound purchasing decision, while saving a significant amount of money by going direct to the source here at our Selectabed manufacturing facility in California. * Tempur-Pedic® is a registered trademark and property of Tempur-Pedic North America, LLC. All references to Tempur-Pedic® are strictly for comparison purposes.